Here at the Health Base we try our best to accommodate all types of visitors to our site. With that said, we're aware that some people are looking for a quick answer rather than a thorough step-by-step guide of the issue being discussed. This is no different with regards to this particular guide. Therefore, I've supplied a quick summary table below for those who haven't the time to read my full guide. This table lists the best Vitamin C Serums that the Health Base's tests and research has unearthed. Hopefully, you'll read my guide in full, but, if not, then please feel free to check out the below table. Why Does Vitamin C Do? How Much Vitamin C is a Good Concentration? Personally, I have used Vitamin C throughout my life in some form or another - even when I didn't actually understand why! When I was young, my parents always ensued that I'd get my full dose of minerals and vitamins in my daily diet. Vit C was a main part of this. As I got older and more knowledgeable about what my body required, I started to understand the importance that vitamins play in our bodily functions. Once I fully understood the top benefits, I then took the next logical step - to find the best method of supplying this super nutrient to my body, both in terms of its application and quality. This line of thinking soon brought me to Vitamin C treatments. Throughout the following guide I will explain why these formulas are the best method for receiving your needed dose of this essential supplement. I also reveal which serums are the best on the market today, as proven by the Health Base's extensive testing and researching efforts. If we want to understand the ins and outs of these creams, then it’s a good idea to start with the main ingredient - the orange guy. What exactly is it and why is it so powerful? This mineral is a well established mainstay in a whole host of skin treatments and health products in general. The technical term for Vitamin C is ascorbic acid or L-ascorbic acid. It is more commonly known as being a healthy ingredient that is found in many foods and is often used as a dietary supplement. As happens with many elements of our body, the levels of this mineral in our skin tend to decline as we age. When this happens, a couple of negative effects can appear in the skin. Collagen production levels out, for one. This then has the knock on effect of having a detrimental impact on connective tissue. This tissue, responsible for making skin youthful, now becomes rigid and corrupt, bringing about wrinkles and lining. Another negative effect of declining Vit C levels is that your solid cells become more susceptible to harm from free radicals. Free radicals are exceptionally reactive compounds that will attempt to strip an electron from your solid cells. When they are successful, cellular harm begins to occur that accelerates and prompts untimely maturing. Anti Aging: this is the main benefit this mineral and it's something that health enthusiasts crave. In fact, everyone craves it! 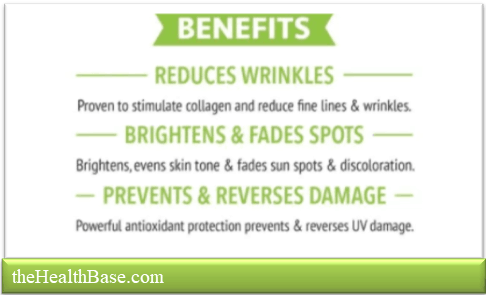 This mineral excels in this area as it's crammed full of these wonderful anti-aging properties. It has been scientifically proven without a shadow of a doubt that Vit C battles against the aging process. It does this by rejuvenating the skin which results in wrinkles and age lines being kept at bay that little bit longer. This is something that we can all attest to wanting! Fights colds: studies have shown that this orange health supplement may reduce the likelihood of getting a cold. This is a key reason why many people turn to these tablets and dissolvents when the cold weather approaches. This makes perfect sense as the Winter period sees the rise of flues and and the like. Therefore, our bodies need that extra little bit of protection which Vit C delivers. Sometimes we cannot help but be infected by some type of ailment, whether it be a flu or chest infection. This is just part of life! Heart Disease: it's true that the data on this mineral and heart disease are mixed. Some studies show an association between low levels of this mineral and heart disease risk, yet many studies have linked the use of Vit C supplements with an increased risk of heart disease. In saying this, it would take an exorbitant amount of this supplement a daily basis over a sustained period of time to trigger any such adverse reactions. As with any vitamin, mineral, or dietary supplement, if they are used correctly then there is really very little chance of anything negative occurring. Common sense, as always, should be used! Iron absorption: Vitamin C has been proven to help with the absorption of iron into your body. This is essential as iron is needed in order to effectively transport oxygen from the lungs to various parts of our bodies. Iron also allows our muscles to store and then utilize this oxygen. Vit C thus improves the operation of iron as it ensure that iron is incorporated into our bodies as efficiently as possible. 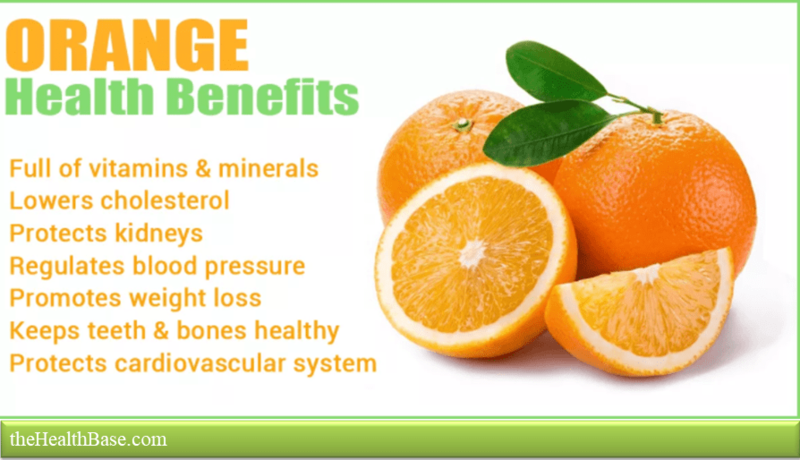 Many more: this orange supplement have also been known to have positive impacts on such maladies as cancer, strokes, asthma, cataracts, and high cholesterol. But what about the Serums? What makes them so much more superior than just the normal version of this mineral? Well, keep reading to find out! I’ve discussed in the previous section the many benefits and reasons why this mineral is a staple supplement in so many people’s houses. Now, let’s have a look at solutions for the face. Vit C creams are specialized products designed to convey a high concentration of this super-mineral. Despite the fact that the recipe is oil-and-water-based, it is created to have a without oil surface. In fact, this product is specifically designed to have a smooth consistency. 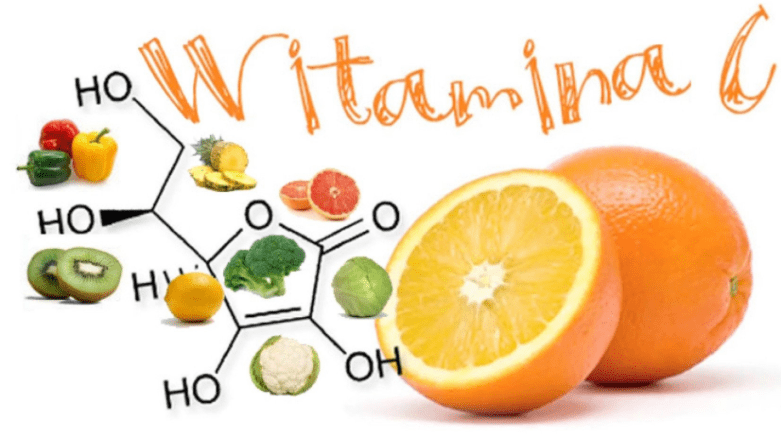 I myself have always been an avid user of Vit C. Whether it be oranges, orange juice, dissolvable tablets or a whole host of other means, I’ve always had a little mental urge to make sure I get in enough! And while I was always conscious about my intake, I often found myself thinking that I wasn’t having enough…or sometimes too much! This all changed when I started using Vitamin C Serums. Why? Because, in a nutshell, these creams are the next level up from just taking orange tablets or drinks. And this is exactly why the best Vit C creams for face use are so coveted…because they deliver all the benefits of regular Vitamin C and then some! In addition to this, Serums also ensure that you get a regulated, controlled amount of this orange mineral – thus giving you peace of mind. One less thing to worry about is always a welcome occurrence! These creams have gone through rigorous and extensive testing and trialing in order to get the best results. In order to achieve these, the formula of this product has to be spot on. Keep reading below where I will discuss what should be in the best vit c Serums and where the dangers may lie. As alluded to, the formula of these creams are absolutely key. In fact, with any health and beauty product the formula is of paramount importance. Why? Because without the correct formula the product will be worthless, or worse, could even be harmful. 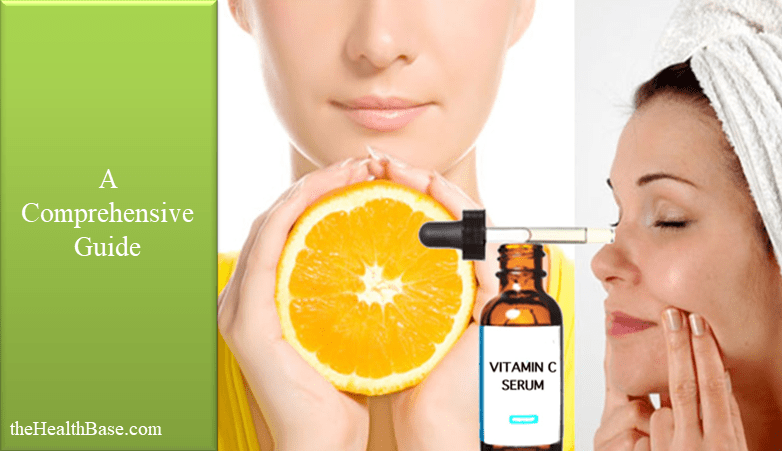 A Vit C Serum formula is no different. Care and attention is needed if the resulting cream is going to be as effective and lasting as it ought to be. If the formula is top notch, then the product will also be of a very high standard. A key element to the formulation of is the oxidation process. Simply put, this is where the mineral or ascorbic acid to give it its technical name, is converted into dehydroascorbic acid; or DHAA as it is mostly commonly known. Don’t worry if these terms don’t mean anything to you! It’s helpful, but not vital, that you understand the terminology and science behind these top Vitamin C creams. The important thing is that you know what Vit C Serums can do for you – after all, that’s the sole reason anyone looks to buy anything! Ascorbic acid by nature is quite an unstable agent. A way to stabilize it is to dry it out – only by doing this can this mineral become stable enough in its composition in order to be a functioning agent. During the oxidation process some brands are guilty of messing up the oxidation process by not oxidizing their formula enough. DHAA is just as unstable as ascorbic acid and if isn't further treated then it too can become useless or even harmful. The harm could even rise to the point where this poor formula actually increases the creation of free radicals on your skin’s surface – the exact opposite function of what it’s meant to be doing. This is why the DHAA needs to be further oxidized so as to ensure that it is correctly formulated. Otherwise you’ll be left with a dud I’m afraid! Thankfully, the great men and women doctors who do fine work in the pharmaceutical industry have supplied an answer. These healthcare professionals have used their extensive knowledge and experience to create a solution to the instability that is in the makeup of Vit C.
This solution comes in the form of derivatives. Derivatives are additional elements that are added to the Serum formula with the common goal of making the present mineral more stable. They also work to supply less chance of irritation. Another key element to these derivatives is that they allow the cream to easily penetrate the skin that it comes in contact with. This, obviously, then results in your skin absorbing the supplement which is the aim of the game! This absorption then promotes boosting in the creation of collagen. I will discuss in a short while why this is such an important benefit. When it comes to derivatives in the this particular niche, there are actually quite a lot of them. Some are proven to work; some are getting there but have yet to be completely verified; and there are others that are complete placebos! Sodium ascorbyl phosphate & magnesium ascorbyl phosphate: even though these two are technically different compounds, I’ve grouped them as one simply because they are virtually the same in terms of composition. As mentioned before, there are two other types of derivatives that can be found in creams. The first type are the ones that are new to the market. These derivatives have passed the scientific tests in order to be included in Serums. But they have yet to really be tested in the market place. An example of such a derivative is tetrahexyldecyl ascorbate. Rolls right off the tongue, I know! This agent is indeed gaining traction in the Vit C cream niche but really has yet to be tested in terms of customer feedback volume. It’s still very much in its infancy. Now, given time, some of these options may prove to be just as good as ascorbyl palmitate or sodium- and magnesium phosphate. Heck, some day they may even prove to be better! Stranger things have happened. The final category of derivatives consist of ones that are best left alone. These are agents that have no particular value or effectiveness when it comes to improving the overall product. Such derivatives are usually used by brands that are lacking in the ethics department! For example, a brand that has no quandaries about releasing a rubbish product could very well use an ineffective derivative in their cream to cut costs. This, of course, will result in a poor and potentially harmful solution. To avoid these fake derivatives, I advise only using the ones I’ve already mentioned as being top of the range. Or, in addition, to research the brand that you are thinking of purchasing to see what their customer feedback and reputation is like. This is a question that comes up quite frequently in this conversation. And rightfully so. The regular dosage percentages in terms of concentration are 5, 10, 15, 20, and 30%. As with any medicine or beauty related product, the trick is to get the dosage just right in order to get the full benefits. Too little and the cream won’t have the desired effect if any; but too much and the effect could be a negative one. I personally find that a cream with a 20% concentration of Vit C is perfect for my skin. Any higher and my skin will soon become irritated and red!! 🙁 However, it’s important to note that every skin type is different. I personally use the product supplied by Kleem Organics. Start with a medium dosage – I’ve already hinted at this but it’s worth repeating. It’s far better to begin with a 20% dosage than a 30% one only to find out that it's too much. Stick with the lower percentage for a bit, see how it goes, and then up the concentration level if you feel you need a bit more of an orange whack. Also, by starting with lower dosage you’re allowing your skin to be accustomed to the new substance. This is always recommended when you’re about to try something new. Imagine going to the gym for the first time and trying to lift the heaviest weight possible! Bad idea and a great way to get hurt!! So, to answer the question of how much of this mineral is a good concentration, like with everything, there’s a certain amount of trial and error needed. Don’t be put off by this! Trust me, being calculated and methodical will be worth it in the end. If you’ve read my guide thus far, you’ll have realized that the top solutions for face use can have a whole host of positive impacts on your face and body. The list is quite extensive and varied which is exactly what you want from a health product. If you haven’t read what’s come before this section and instead have skipped ahead to this point, well then, firstly, I forgive you :), and secondly, let me go into a few of the key benefits that a cream can deliver. Nobody likes getting old. I think that’s a common sentiment that we can all agree on! I know I certainly do – the thoughts of getting old and wrinkly terrifies me!! But, what can be done about it? Well, as you probably know, Vitamin C is renowned for having the ability to fight and stall the aging process in our bodies. While it won’t stop it (thanks a lot mortality), it can have a sizeable impact on the rate in which you skin ages. Therefore, due to the fact that this is the next level up from the plain old mineral version, it makes sense that these creams have an even greater impact on the dreaded aging process. A key way in which a Vit C Serum battles the aging process is by supplying antioxidant protection from such things as rogue molecules and free radicals. These long term accumulative agents are caused by factors like pollution and sun damage. Often these accumulative dangers are ignored or not taken seriously by people until it is too late. The top products will create a safety barrier between your skin and these free radicals. This will ensure that these pesky, unwanted substances will not come in contact with your face. More importantly, it will prevent them from causing problems in the future. However, in the modern world this can prove a difficult goal to achieve as well to maintain. Why? Because of the pesky thing that is life! Stress, tiredness, diets, lack of exercise, allergies, and even bad climates can have an adverse effect on our faces. Thankfully, there are ways to counter these negatives and achieve that much sought after fresh faced look. A top of the range Vit C product is certainly one of those methods. The how is simple – because of the power of the solution. Applying this product can work to greatly rejuvenate skin that perhaps has been battered by life. Creams can work to smooth out wrinkles and remove that haggard look that dominates so many facades. During our lifetime, our face will fall victim to a certain amount of unwanted afflictions. Unfortunately, this is just a part of life. We can try our hardest to be healthy and clean, to follow all the rules, but eventually we’ll be struck by something annoying! The forms these afflictions take come in all shapes of sizes. It could be a sole pimple or a zit, dark spots and skin discoloration, or even a bad case of rosacea or acne. The list really is endless and thinking about it too much can be quite depressing!! However, there are ways to both prevent and lessen the emergence of these nasty facial ailments. Vit C is a key preventative method that has been proven to work against a whole host of these ailments. You see, this supplement naturally causes the complexion of skin to brighten and to become healthier. This alone would wipe out and prevent a wide range of facial afflictions. This occurs because this orange mineral helps to synthesize melanin within your body. Melanin is a pigment that aids in giving you skin and hair a healthy, natural color. The right formula can aid your skin in dealing with the rays of the sun in several ways. Firstly, the cream acts as a natural barrier atop your skin which works to deflect and lessen the sun’s rays. This goes a long way to diminishing the impact of the UV beams on your face. In addition, this product aids with recovery to any damage that UV beams may have caused your face. It eases the redness and irritation that can occur if your face has been overexposed to the sun. Furthermore, sunscreen will also be able to fully penetrate into the lower layers of your skin. This will give you the best protection possible from any dangerous UV beams. IMPORTANT NOTE: It’s important that you do not use a serum as a replacement to sunscreen. These creams do indeed act as a barrier to the sun’s rays, but not to the extent of a top sunscreen which has been purposefully designed to stop the sun from damaging your skin. Instead, view this product as an added layer of defence that works alongside the sunscreen to keep you safe. These cream also have the amazing ability of boosting your body’s immune system. This further expedites any healing that your body may need to undergo. You’ll find that cuts heal quicker; acne clears up at a faster rate; sunburn disappears quickly; and any minor facial ailments will soon fade into nothing. For purely these aesthetic reasons, this alone is a massive benefit of incorporating one of the best Vit C cream into your beauty routine. Acne at any stage in your life is an absolute nightmare. 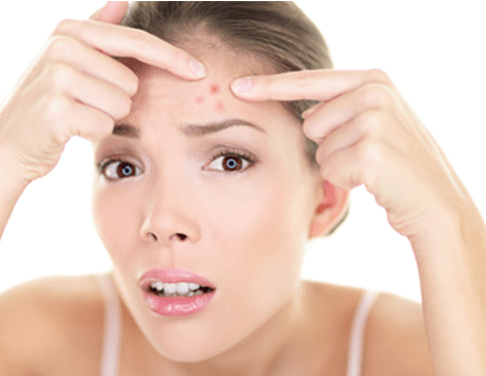 Whether it be a sole zit or a full on breakout, it’s a horrible affliction to have. If you have ever been struck by acne vulgaris – and there’s not many that haven’t – then you’ll vehemently agree with me when I say every and any remedy to acne is worth trying. And there are plenty out there!! One that has been proven to work is the use of a Vitamin C treatment on affected areas. Firstly, using such a cream on a regular basis will significantly reduce the chances of you getting acne to begin with. This is because your skin will be functioning at its optimal level – thus it will be more than able to deal with any bacteria. Secondly, even if you do get some acne, this orange supplement will markedly improve the quickness in which the bacterial infection dissipates. As mentioned before, this mineral works to reduce scarring and redness in rapid fashion. This is very pertinent when it comes to acne scarring which can appear in the aftermath of acne. Dark colored spots, or brown spots as they’re known, are an indication of maturing skin or skin that has been harmed in some way. These spots can appear pretty much anywhere. Vitamin C Serums can work to counteract these spots if applied directly to the affected areas. The cream will automatically work to boost the color and health of the area. Collagen production will be boosted by this product's application and this will also increase the healing of brown spots. When your skin is harmed, it winds up noticeably aggravated and bothered. We’ve all had times when our face has been damaged in some way. The problem is, we don’t always deal with these occasions in the proper fashion! If you begin to scratch or rub your irritated face, then this can prompt further harm. This, of course, will only exacerbate the torment, as well making the afflictions look more terrible than when it first appeared. Using a cream with vit C in it will cool the affected area as well as help with the recovery process. This is also good to note for anyone who suffers from skin maladies such as psoriasis and dermatitis. Other: In addition to these benefits, regular use of a this product can also provide protection against cardiovascular infection, pre-birth medical issues, eye ailments, and a whole host of other issues. Time for another world famous Health Base Check list. 😉 If you’ve frequented our site before, you’ll know that the Health Base team love a checklist! And with good reason! 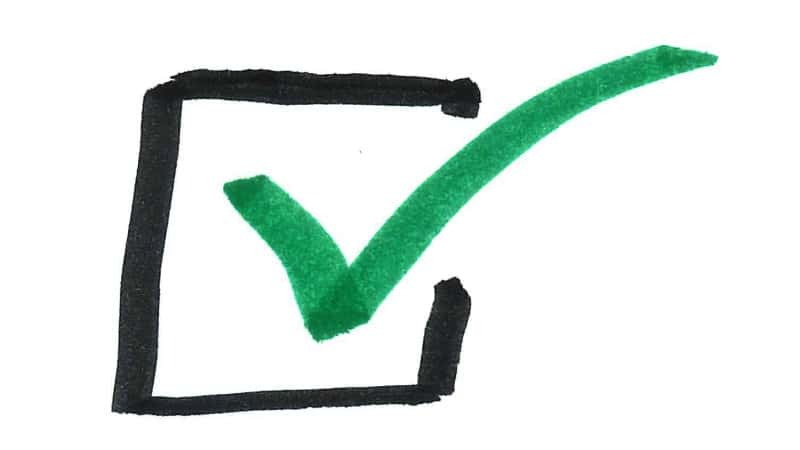 A product Checklist is the easiest and most economical way of sorting through a pile of possible products. It supplies a time saving method of narrowing down a search in a hassle free way. Below are the boxes that we believe you should be looking to tick when you’re thinking about buying a Vit C Serum. Hopefully you'll find it helpful, we sure did! As with most things in life, you have to measure the outcomes you need, the time it will take to see them, and your financial plan. Fortunately, there are such huge numbers of beneficial products available now, tending to a full scope of healthy skin concerns, that you will have no issue discovering one that suits both your wallet as well as your face. Take as much time as is needed, get your work done, and prepare to stop Father Time in his tracks! A good quality Serum should cost between $35-$75, though this does depend on the volume. That being said, within this price range you will most definitely be able to pick up a top of the range cream. It goes without saying that you should stay away from creams that are super cheap. Why? Because 99 times out of 100 they are cheap for a reason!! Such products are most likely missing something in their formula – in other words, shortcuts have been taken in the production process. This one may seem simple but it’s a little trickier than you might think! The trickiness comes from the fact that there is actually no agreed upon best form. However, there are a few top contenders that are worth getting to know. These have been proven to be the most effective so it’s important to understand a little about each one. This is the real deal when it comes to purity. It’s as pure a concentration as you’ll find in terms of this mineral. However, because of this and the lack of derivatives used in the formula, ascorbic acid is also very unstable and can easily irritate the skin. This is due to the high concentration dosage of the ascorbic acid. In saying this, if you think your skin can handle this pure form, then this is the version that I’d recommend. It’s incredibly powerful and effective, something that a derivative can’t really compete with. These two derivatives are virtually identical and are water-soluble which is preferable to oil-based. Both of these are widely believed to be the next best thing after ascorbic acid, possessing far more stability. They also are far less likely to cause irritation to your skin which just enhances their appeal. These two derivatives are ideal for anybody starting a Vit C cream course or for people who perhaps have delicate or sensitive skin. This is the most commonly used fat-soluble derivative that is available on today’s market. In other words, this particular derivative is an oil based one. If you are looking for an oil based treatment, then one that incorporates ascorbyl is the one to go for. In saying this, in my experience oil based creams are inferior to water based ones. Simply put, they’re not as effective. I’ve tried a few different variations of both and have always found that the water based version trump the oil based ones. The reasons are quite straightforward – water based serums are both far more potent in their dosage as well as being far lighter in consistency. This means that they can be applied to your face in a smoother fashion. TOP TIP: I found it best to apply a Serum to your face directly after washing. This way you get the max benefit as your face is at its most receptive. I’ve mentioned this already, but it’s important to reiterate the need to buy from a reputable and respected source. This goes for any type of purchase. When looking into a brand, you want look for two things – firstly, that they have a proper code of ethics. And secondly, that they have a positive level of customer feedback. In terms of ethics, the brand you invest in should be dedicated to supplying top of the range products and then selling these products at a fair price. Yes, of course businesses have the right to make money; this is why they exist, after all. However, they also have the moral responsibility to not overcharge and to not release poor products. A positive level of customer feedback really takes care of itself. This can be ascertained easily enough through a quick Google search in which customer reviews and ratings can easily be found on whichever product you are looking to purchase. The bottom line is that’s up to you. Every brand will attest that their product is the bee’s knees! They’re all going to swear that their product is better than all the others. It’s up to you to figure out the truth of it! The five brands that we recommend in this guide all have top notch ethical codes and levels of positive customer feedback. We made this a priority when we delved into this niche. Packaging in general isn’t really something one takes into account when buying a product. For example, if you were to buy a mobile phone, the last thing you’d be caring about would be what type of box it comes in! However, when it comes to a Vit C Serums, packaging is essential. Why? Because if the packaging of the cream is not resistant to air and sunlight then the product could very well be ruined well before you even have a chance use it. 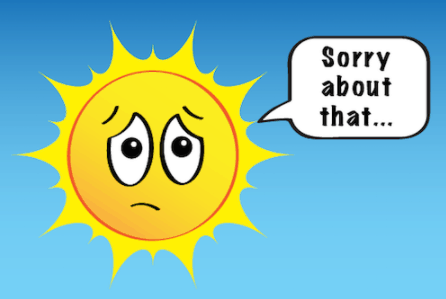 Vitamin C is very sensitive when it comes to sunlight and air exposure. Either of these two agents work to degrade and break down this mineral until it is ineffective. To avoid this happening, a Serum needs to be packaged in an airtight and opaque container. This will prolong the shelf life to its maximum level. In other words, run away if you come across a product whose packaging has air holes or who are transparent. TOP TIP: it’s also worth mentioning that storing your ceeam works on the same principle as the packaging in that they need to be stored in places where sunlight and excessive air won’t get at them and degrade them. This is quite an easy box to tick - the ideal color is colorless! Or white to be exact. Any hint or taint of a color in a cream means that oxidation has occurred and the formula is breaking down. This will give the cream spots of brown or yellow. It will ultimately result in the Serum being far less effective. Unfortunately, if there is no sign of oxidation (no yellow or brown taints) then this doesn’t necessarily mean that there’s no degradation. However, it’s still a good rule of thumb to follow. 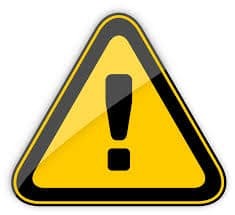 WARNING: Some brands will actually deliberately alter the color of their Serum – more than likely to orange. While some brands do this as a marketing ploy, linking the orange to Vitamin C, some others do it to hide evidence of degradation. My advice would be to simply stick with the white/colorless version. Without being able to see the true color of a cream, it makes it all that bit harder to judge its purity. As with anything that you’re planning to put on your face, your skin type is key when it comes to choosing which product is best. Sensitive or Dry Skin – Best to use a derivative rather than pure ascorbic acid. Something milder like the previously mentioned magnesium- or sodium ascorbyl phosphate would be far better. Or, alternatively, use a product specifically designed for such skin types - Obagi Systems Review. Normal or Oily Skin – Give ascorbic acid based Serums a try to begin with. If there are any adverse effects, which will be unlikely, then you should turn to a derivative. With regards to the product, pH levels are vital as it reveals how acidic the cream will be. If the pH levels are low, then the more acidic the resulting concoction will be. This overall ties in with the concentration level of the supplement. People are under the illusion that the higher the percentage of levels the is magic orange mineral, then the better it will be for you. However, this isn’t exactly true as higher percentage levels will also mean that the pH levels will be higher. WARNING NOTE: pH levels are something that brands often get wrong because they don’t do their due diligence during the formulaic process. Be careful of this. An often used old adage reads “the more, the better”. Well, with regards to this topic, this is both correct and incorrect! Yes, a good percentage of Vitamin C is needed in the treatment in order to boost the creation of collagen and supply the other benefits. Conversely, too high a dose can irritate the skin quite badly. This is why it’s imperative that the percentage of Vit C used in a Serum is spot on. This percentage changes somewhat depending on which product you plan to go for. For example, the ideal percentage for an ascorbic based cream is between 5-15%, while this changes to between 1-20% for magnesium- or sodium ascorbyl phosphate. I’ve hopefully explained how using the right formula is both super effective and vital for the human body. But this mineral is just one of the ingredients that goes into making a top class Serum. In addition, there are other ingredients incorporated into the formula that have been specifically chosen because of their antiaging and antioxidant properties. Again, the formula is the key to all this. Only by choosing the correct ingredients and dosages, will the quality and longevity of a cream be guaranteed. All of these ingredients need to be correctly formulated so that they can work together seamlessly. If done properly, these ingredients should also boost each other’s capabilities. The best way to approach the above ts is to use a machine analogy. Something as complicated as a laptop is made up of hundreds or thousands (I don't actually know!) of independent parts. All of these parts offer tiny operating service on their own. However, when they are all brought together in the correct manner, then they create the marvel that is a functioning laptop! BEWARE: a trick that some unethical brands resort to is to pack their product full of ingredients. They are relying on the whole “the more, the better” mindset winning through, hoping that customers will choose their product because of the “abundance” of ingredients. It's a no brainer to always check for a warranty when you are thinking of purchasing a product. There's nothing worse than buying a faulty or ineffective product only to realise that there's no warranty or guarantee included in the purchase. This effectively leaves you up the river without a paddle!! Now, the majority of brands will include a warranty, so it's just a case of checking its length. However, there are some dubious brands that do not include a warranty. There really is no excuse for this omission and, as you can imagine, it doesn't bode well for the quality of the resulting product. So, to have peace of mind, ensure that you check! It would be remiss of me to not include a few cautionary notes when it comes to these products. While the majority of people won’t have any problems in finding and then using a this treatment, there are a few issues to keep an eye out for. if you suffer from this ailment, it's for the best that you first visit a doctor or dermatologist before beginning this solution. A rule of thumb for rosacea sufferers is to not use a Serum that has any more than 10% Vitamin C concentration. Any higher will most likely result in skin irritation. As I’ve mentioned throughout this guide, the wise move is to start with a mid dosage in terms of the vit C concentration. In and around the 15% - 20% range is a perfect place to start for a beginner. This will allow your skin to become adjusted to the new agent as well as giving you an idea of what percentage might suit you on a permanent basis. When you are buying any product it is prudent to buy from a brand that has a great reputation. If you buy from a brand that has a non-existent reputation, or god forbid a negative one, then you really only have yourself to blame if you end up with a poor or faulty product. The quickest way to ascertain a brand’s reputation is to do a quick search. You’ll soon be able to determine the brand’s standing in the relevant niche via customer reviews and overall popularity. 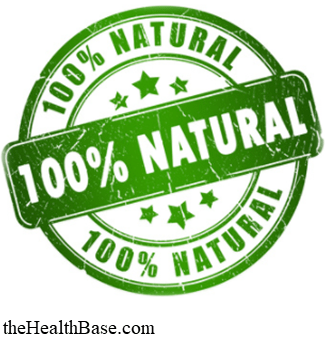 We at the Health Base were careful to follow our own advise and therefore only chose brands that had top reputations to include in our guide. These Serums, and the mineral in general, are by no means immortal products. Like most things, time will eventually take its toil on it in way of degradation. Over time, Vit C will naturally decay and become ineffective. Expose to such things as sunlight and air will increase this process so take care where you store your Serum. Also, don’t buy in bulk!! There really is no point in doing this due to the natural degradation that occurs. In addition, buying such a cream as mentioned in this guide with a correctly formulated mixture will increase the time that its effectiveness will last. This once again shows just how key the formula is in this particular product. Question 1: Derivatives…are they better than the real thing? 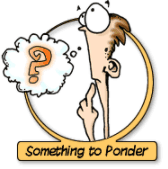 Answer: A derivative is summed up as something that is a copy or imitation of something genuine. That would make you think that a derivative is surely not as good as the real deal, yes? You’d be surprised! It’s correct to say that a derivative is not as pure as ascorbic acid, but in fact they actually are as effective as genuine Vitamin C.
Why? Because derivatives are still essentially the same, they’ve just had other elements added to the mixture. These addition are used to help stabilize the ascorbic acid during the formulaic process. To further clarify a derivative, think of them as a shield. They work to protect the ascorbic acid and to prevent untimely degradation. This will result in more stability and less likelihood of skin irritation. Question 2: Why is Vitamin-C so important? 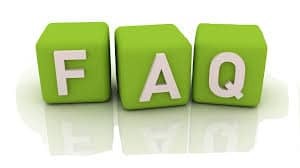 Answer: If you've read even just a small portion of this guide then you'll already be aware of the answer to this question! The benefits of this natural supplement are as wide ranging as they are impressive. It really is a must-have in everyone's daily dietary intake. Question 3: Why choose this over other treatments? Answer: Many individuals select this treatment over other skin products because Vit C ointments are totally natural. This means that there will be no worry about how your skin will respond because there are no brutal chemicals or other flawed fixings incorporated into the ascorbic acid. Another advantage is that this treatment has been created to be sufficiently delicate for ordinary use. The same just can't be said of numerous other skin products available which comes with a whole host of varying application problems. Question 4: Can I use it with makeup? Answer: It’s not advisable to apply Vitamin C Serum when you are wearing makeup. Simply because the makeup will have created a barrier on your skin so therefore the cream won’t be able to penetrate to the level that is necessary. Question 5: How exactly do I apply this treatment? Answer: To begin with, cleanse your face using a correct exfoliation routine. Ensure that you then pat your face dry with a clean towel. Next, gently rub in a thin layer of your chosen cream into your face. Remember, as with exfoliation there is no need to be overly vigorous. Instead, allow the cream to do its work. To finish, use a moisturizer to further soothe your skin. Question 6: How much should I apply? Answer: The top creams come in very small bottles – usually around 30-50ml/1-2oz. or so. Lucky then that only 2-3 drops are needed per treatment. This amount is more than enough to create a beneficial layer across the surface of your face. This is key to know as overusing this product will be a waste of its effectiveness as well as being a waste of your money! Question 7: Do I really need a to use the serum? Can I not just get enough from food, vitamins and juice? Answer: It’s always advisable to incorporate this mineral into your diet whether it be orange juice, oranges, tablets et cetera et cetera. The advantage that such a cream has over these more traditional methods is that this method has been proven to be more effective because of the way it’s applied. Directly rubbing this orange supplement into your skin is far more beneficial than ingesting it. Question 8: How long does it take for the benefits to show? Answer: If you sift through the customer reviews of the top Vitamin C Serums, then you’ll see that the usual time period in which you can hope to see results is pretty short. Brighter skin is the first change that’ll you notice within a few days of use. A couple of weeks in, if you’re using the product regularly, your face will be smoother, have a better skin tone, far greater brightness, and will seem younger than ever before. As with everything, results will vary from person to person, but within six months you should really see the complete benefits​​​. Question 9: When is the best time to use this treatment? Answer: This really comes down to personal preference. In my case, I use mine twice daily – once in the morning before work and then once in the evening to refresh my skin. In saying this, I’m not particularly strict on this routine! There are days when I won’t use it at all. This is half because I can be lazy, and half because I think a break is a good idea every now and again. Question 10: What is this MSM that I see everywhere? Answer: MSM, or methylsulfonylmethane to give its full name, is an ingredient that is regularly incorporated into health and beauty products. But what exactly is it? MSM is a naturally formed Sulphur that can be located mainly in plants. It can actually be found in small doses in many of the foods and drinks that we consume – often in what we know call super foods. MSM is seen as being a high quality nutrient that has tremendous anti-inflammatory properties – thus the reason why it’s often included in a Vitamin C Serum. In addition to this, MSM also helps to improve the texture of skin and to keep it hydrated. Furthermore, it aids our cells in maintaining their flexibility. Question 11: Do Serums contain Parabens? Answer: For those who don’t know, parabens are a type of preservative that, again, are often used in beauty and health products, especially in cosmetics and pharmaceuticals. In essence, they are man-made chemicals that are used to try and prolong a product’s life span. Without going into the why too much, parabens are largely seen as not being great for your skin's health. Therefore, brands nowadays tend not to incorporate them into their formulas. Some brands still do so it’s worth keeping an eye out. 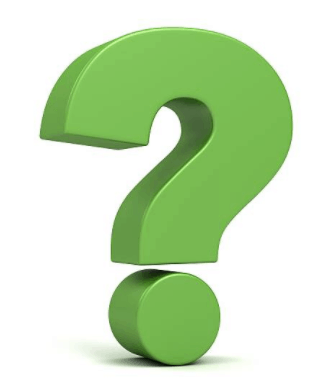 Question 12: What is the shelf life of a proper Serum? Answer: As I’ve explained numerous times throughout this guide, this mineral and the creams they help create have an expiry date. Vitamin C naturally decays so therefore it will eventually come to a point where it’s no longer effective. In terms of a shelf life, a top of the range Serum should last for a couple of years if it has been packaged correctly and left unopened. When opened, this can vary in terms of life expectancy. Always make sure that you check out the brand’s information on this matter. Below is a summary table of the Top Five that our extensive research has unearthed. We at the Health Base always ensure to incorporate some products into our guides. We do this for two simple reasons - firstly, we have put considerable time and effort into testing and researching the relevant niche, therefore, we think that we are in a good position to help point people in the correct direction. Secondly, we know how people are! Even though we always recommend that people do their own research, we know full well that some people would rather be just given the answer. This is why some people read our guides - so they can avail of what our testing and research has turned up. So, if you don't fancy doing the grunt work yourself, then feel free to check out our recommendations. Hopefully, you'll find something in the below table and summary that will help! Best oil-based Serum: From the research that we have conducted, it's our belief that there are two oil-based creams that are dominant - these being the ones made by Rise n' Shine and Mad Hippie. Of these two, we believe that Rise n' Shine holds the edge over the Mad Hippie version. Mad Hippie, though a good product, is quite expensive for just one 1oz. bottle. Conversely, Rise n' Shines comes in two 4oz. bottles for a cheaper price - that's a whopping 7oz. more in terms of volume for a lower overall price! Also, Rise n' Shine uses L-Ascorbic acid instead of a derivative like Mad Hippie. The real thing is always preferable. I must add that I would always go for a water soluble version over a oil-based one, as I explained earlier in the guide. In saying this, I do know people who are avid fans of oil based Serums so I guess it comes down to personal preference! If oil is the one for you then I'd highly recommend the Rise n' Shine product. Best cream for dry/sensitive skin: As you can see in the above table, 4 of the 5 creams that we recommend are suited for all skin types. There is one however that we found excels in treating dry or sensitive skin. That one is the Serum created by the good people at Obagi System. 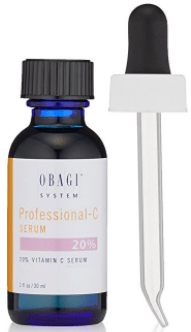 The Obagi formula is one of time tested quality and its brand reputation and packaging are top level. I myself do not suffer from dry or sensitive skin so have no reason to try the Obagi System product. What I would say is that this cream looks quite an expensive price per one 1oz. bottle. I imagine the reason for this is twofold - because of the quality of the formula and because it's a specialized version of a Vitamin C cream. Most cost effective cream: In terms of an all purpose cream, it came down to two options - the ones by Kleem Organics and Serumtologie. These were the two brands that stood head and shoulders above the rest when it came to cost effectiveness. These two were also chosen as the best because they are both water soluble and suited to all skin types. What do I mean when I say cost effectiveness? 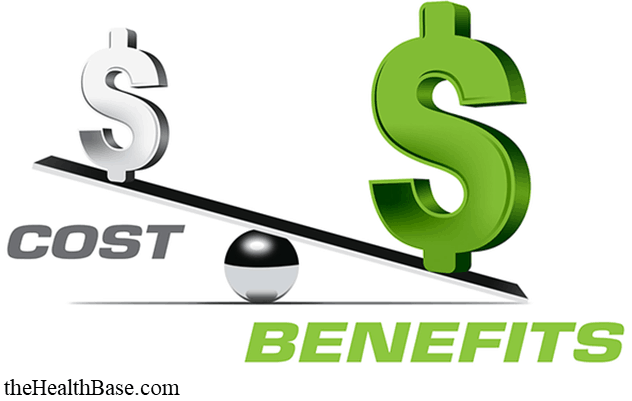 Simply put, which product is the best value in relation to its cost. In order to ascertain this, things that need to be weighed up are cost; formula quality; volume; number of bottles and a whole host of other elements. In terms of cost per volume, Kleem Organics is the clear winner. Their product comes in three 1oz. bottles, so that's 3oz. of cream. In comparison, Serumtologie's cream only comes in a single bottle of just 1.15oz. In addition to this, the Kleem Organics Serum is also superior in terms of its formulation. Kleem offers a 20% L-Ascorbic based cream which is a perfect starter for anyone looking to begin using this treatment type. The 22% L-Ascorbic acid formula offered by Serumtologie is also quite good it has to be said. The final reason why I chose Kleem Organics as the winner is that they offer a warranty of one full year, which is far superior to Serumtologie's 30 days. 30 days is not an adequate time to judge the effectiveness of such a product. 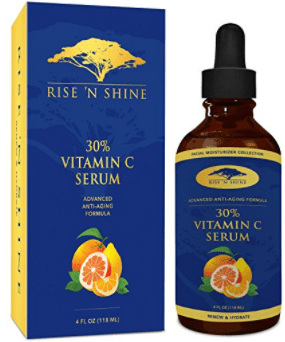 So, for these reasons, we believe that Kleem Organics is the top Vitamin C Serum available on today's market. Additional note: Both Kleem Organics and Serumtologie have well over 2,000 reviews on Amazon from customers - something that goes to show just often these products are purchased. As always, we like to devout the last section of our guide to extending an invitation for you to join our growing community. We at the Health Base understand the importance of connecting with new people on a regular basis. 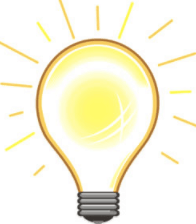 Only by pooling our ideas and experiences can we hope to expand our knowledge base. We've had numerous comments on our guides and emails from members of our community, with each one adding something unique and insightful to our efforts. Myself, and the team, hope that you can also help us become more knowledgeable. P.S. If you liked what you have read and want to further expand your knowledge on this particular area, then why not check out our related posts below - perhaps you'd like to give a homemade Vit C cream a go. 😉 We will be adding new posts periodically.